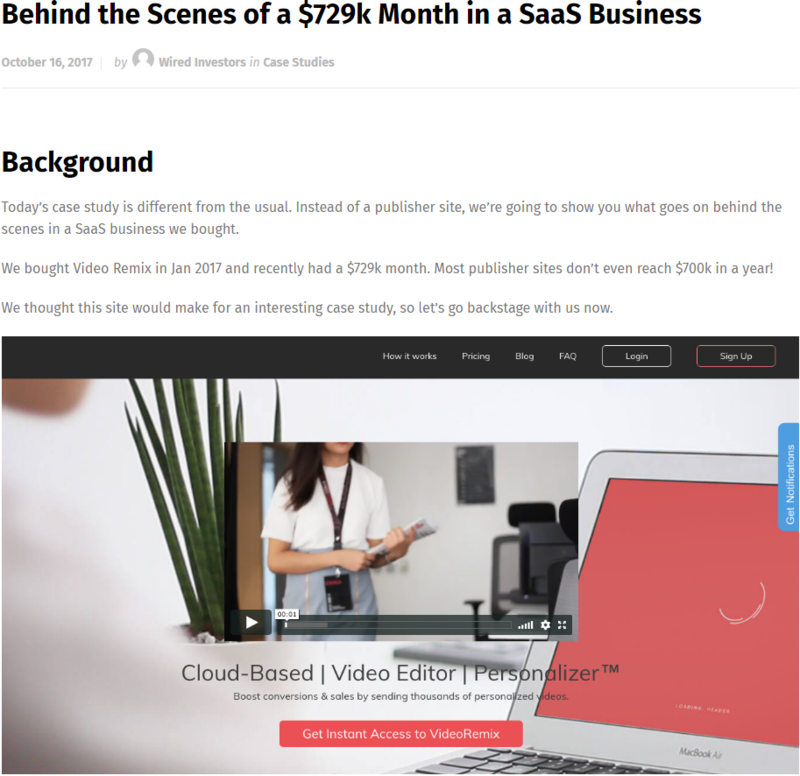 A case study on a SaaS business that had a US$729k month. I dug into how this impressive figure was achieved. 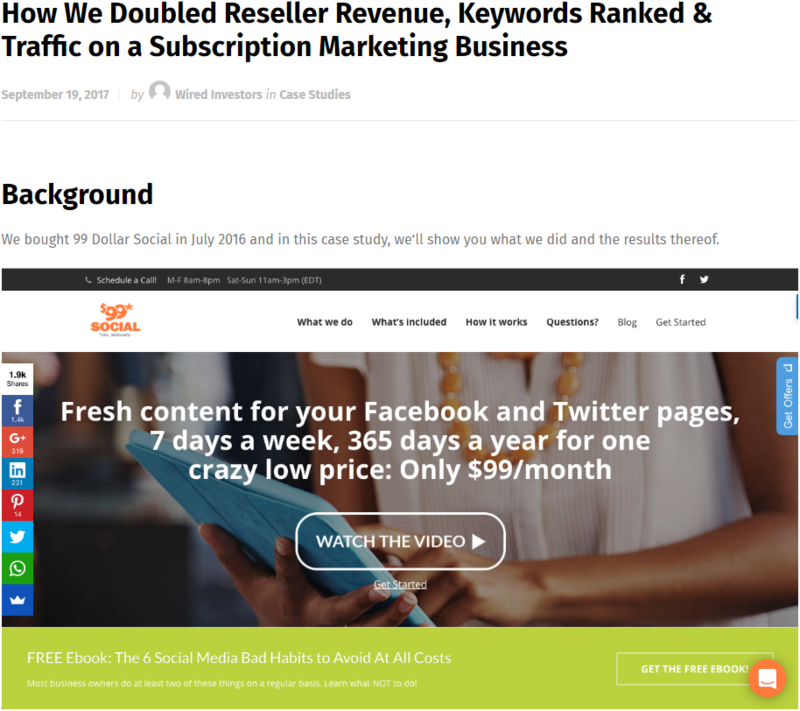 A case study on a subscription marketing business. I explored how the client doubled revenue via running paid ads on Facebook. 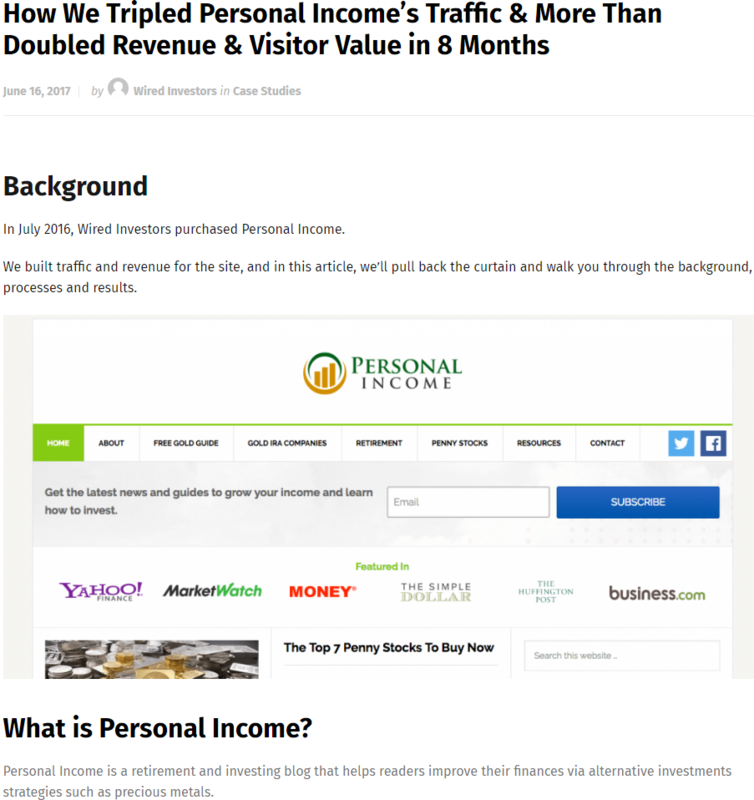 A case study on how a retirement/investing blog promoting alternative investments in the US market increased its traffic and revenue. 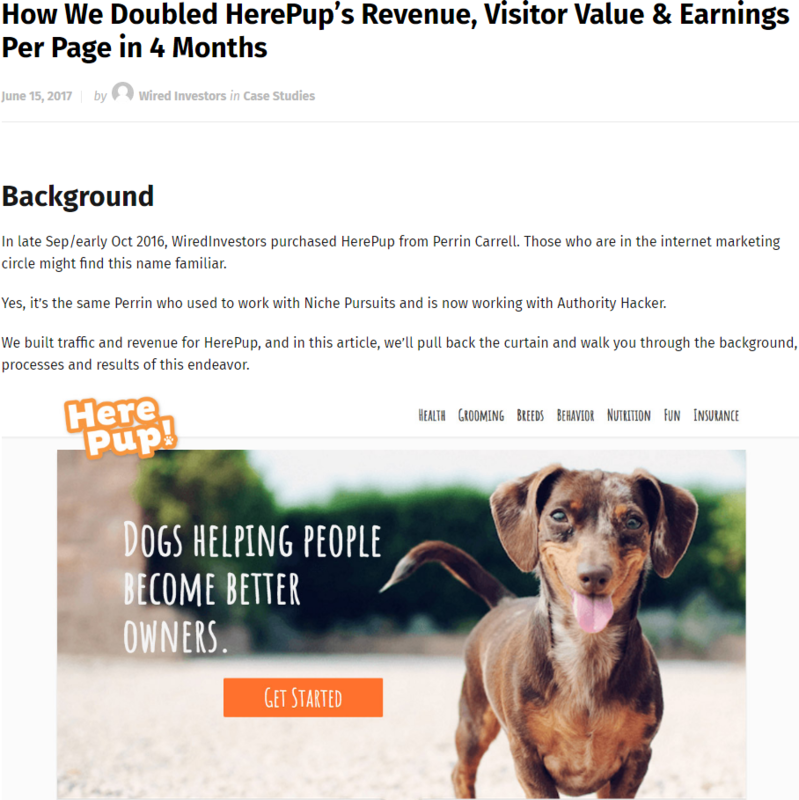 A case study on a content website in the pet niche. I analyzed how the client doubled the revenue by switching to a higher paying affiliate program. 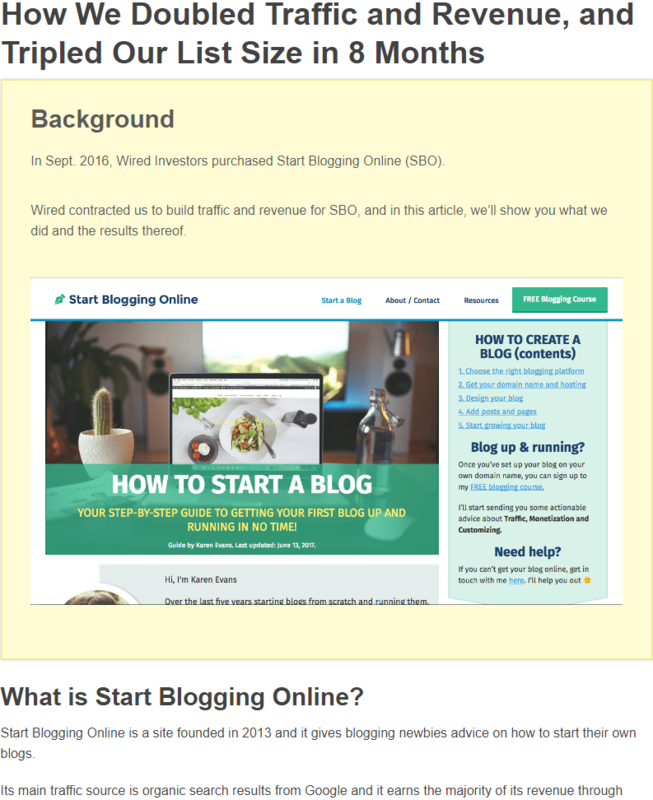 A case study on a content website in the blogging niche. I examined how the client optimized conversion rates, set up email funnels and improved the site's monetization. 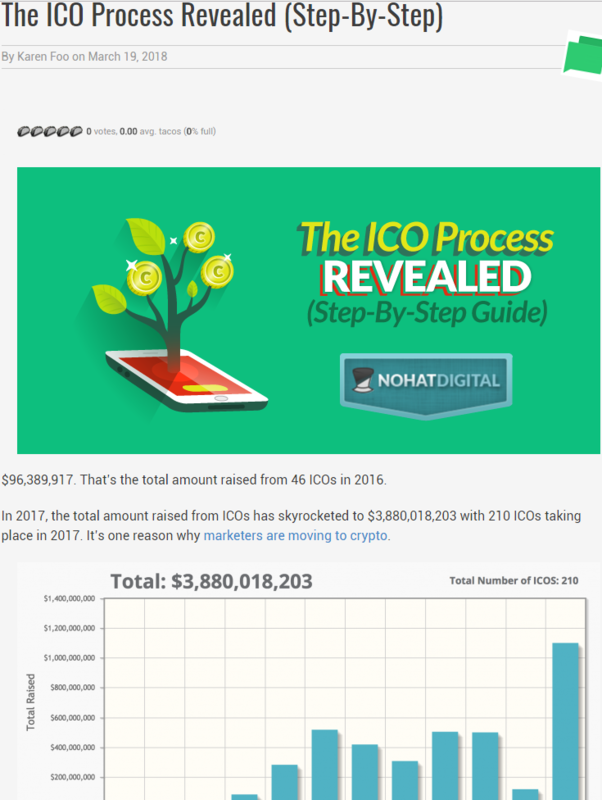 The ICO process can be a head-scratcher to many. In this article, I break down how an ICO works in laymen terms. 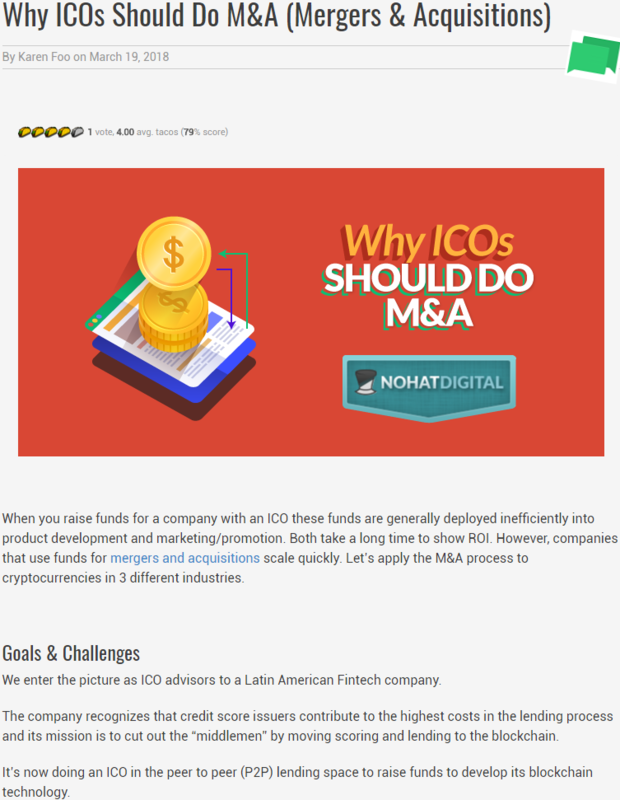 A case study on how the client helped a Latin American fin-tech company create buzz and attract contributors pre-ICO, and effectively deploy funds raised post-ICO. Like What You See? Click Here to Hire Me!